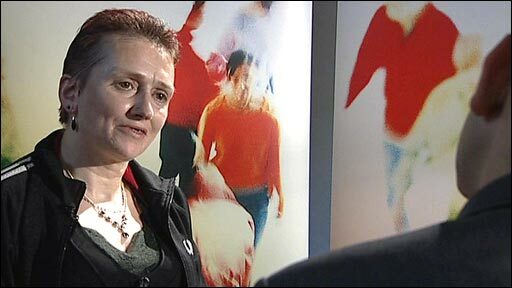 Former addict Sarah: "I no longer use street heroin"
A scheme in which heroin is given to addicts in supervised clinics has led to big reductions in the use of street drugs and crime, the BBC has learned. More than 100 users took part in the pilot - part funded by the government - in London, Brighton and Darlington. They either injected heroin or received the drug's substitute methadone. Those given heroin responded best and an independent panel which monitored the scheme over six months is advising ministers to set up further trials. About three-quarters of those given heroin were said to have "substantially" reduced their use of street drugs. Research suggests that between half and two-thirds of all crime in the UK is drug-related. The Home Office says on its website that about three-quarters of crack and heroin users claim they commit crime to feed their habits. Professor John Strang, who led the project, said the results were "very positive" because the scheme had helped cut crime and avoid "expensive" prison sentences. Professor Strang, who is based at the National Addiction Centre, part of King's Health Partners, said the individuals on the programme were among those who had been the hardest to treat. "And the surprising finding - which is good for the individuals and good for society as well - is that you can," he said. The Randomised Injecting Opioid Treatment Trial (RIOTT) programme - which is funded by a number of agencies, including the Department of Health - began in 2005. It involved 127 chronic heroin addicts for whom conventional types of treatment had failed. Many of the addicts were also using other substances, including crack cocaine. During the trials, a third of addicts were given the heroin substitute methadone orally and another third injected methadone under supervision. The remainder, observed by nurses, injected themselves with diamorphine - unadulterated heroin - imported from Switzerland. Those on the programme were also given psychological support and help with their housing and social needs. The results showed that addicts in all three groups cut the amount of heroin they obtained illicitly from street dealers. 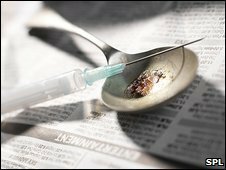 According to researchers, more than half of the heroin injecting group were said to be "largely abstinent" and one-in-five did not use street heroin at all. Before they began the programme, the addicts in the heroin injecting group were spending more than £300 a week on street drugs. After six months, this had reduced to an average of £50 a week. There was also a big drop in the number of offences addicts admitted committing to obtain money to feed their habit. In the previous month before the scheme started, addicts in the heroin injecting group reported carrying out 1,731 crimes. After six months, this had fallen to 547 offences - a reduction of more than two-thirds. One of the heroin addicts on the programme, a 34-year-old man called John, had been addicted for eight years when the trials began. He fed his habit by dealing. "My life was just a shambles... waking up, chasing money, chasing drugs," he said. But John said the scheme had transformed his life "100 per cent" and he now had a part-time job. "It used to be about chasing the buzz, but when you go on the programme you just want to feel comfortable," he said. "I've started reducing my dose gradually, so that maybe in a few months time I'll be able to come off it altogether, drug free totally." In its drug strategy, published last year, the government said it would "roll out" the prescription of injectible heroin, subject to the findings of the pilot scheme. The National Treatment Agency for Substance Misuse (NTA), which administers drug treatment in England, said the results were "encouraging". The NTA said an independent expert group, set up to advise the government, had concluded that there was enough "positive evidence of the benefits" of the programme to merit further pilots. The NTA is understood to be keen to evaluate the financial implications of the scheme. At £15,000 per user per year, supervised heroin injecting is three times more expensive than other treatments.